This week my daughter’s preschool class is learning about the letter A. It was our turn to bring in snacks so I put together a few items that would correspond with the week. 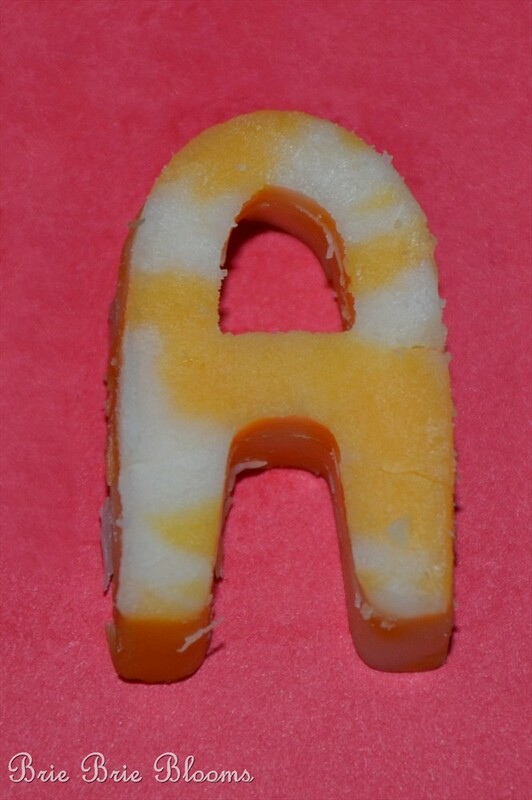 I made the A shaped cheese pieces from a block of cheese. 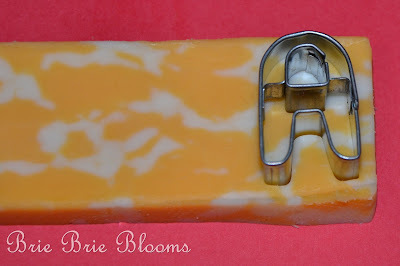 Slice the cheese block into 1/2″ pieces and then use a small metal cookie cutter to cut out the letter. I have a set of Fox Run alphabet cookie cutters that worked great. 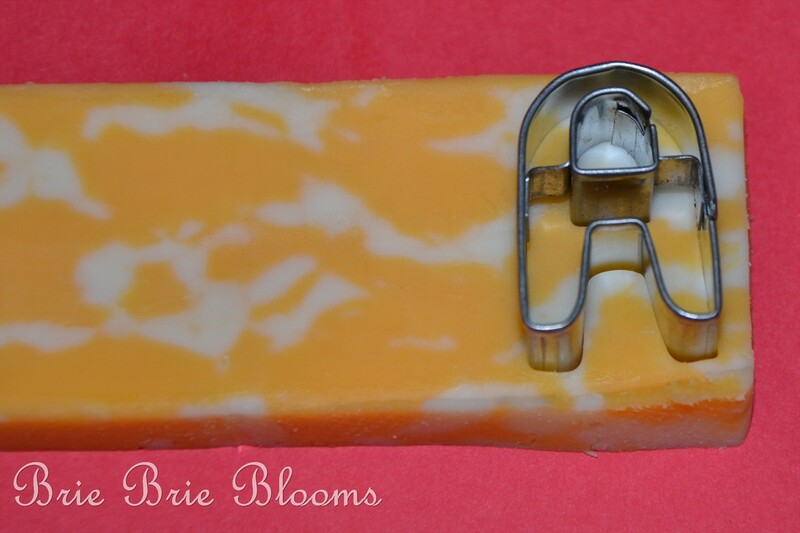 The cheese gets stuck in the cookie cutter so be careful when you remove the shape. I used the end of a straw to gently push the cheese out of the cutter. My daughter asked if we could bring peanut butter sandwiches. She loves peanut butter and luckily there are no allergy restrictions in her classroom. We used an alligator cookie cutter to make the fun shaped sandwiches. Our alligator shaped cookie cutter is from Wilton’s 50 piece animal pals cutter set. We added apple juice to our snacks to complete the A theme. My daughter was so excited to share her snacks! Super cute! I bet the class loved it. 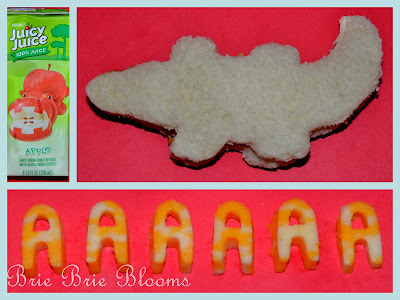 I’m homeschooling and now Im determined to coordinate snacks with letters we are learning. Thanks for the inspiration! 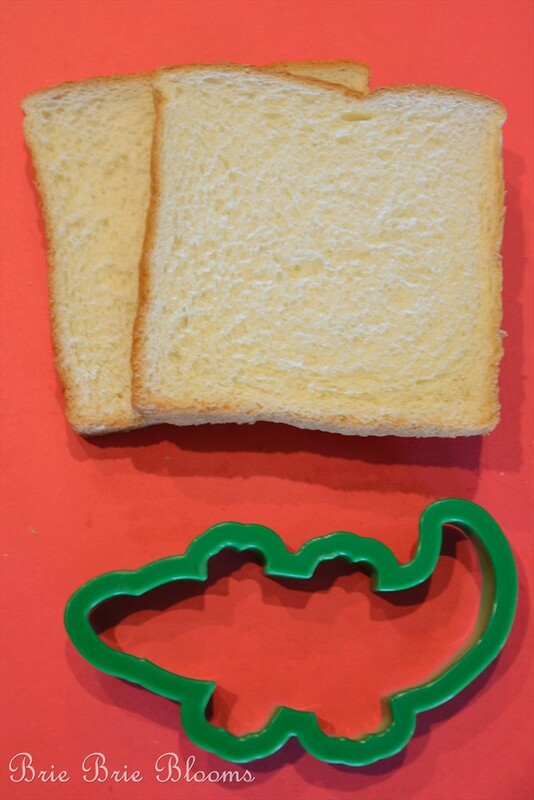 I love to use cookie cutters on cheese and sandwiches. 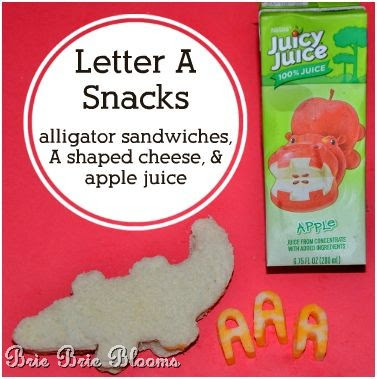 What a great idea to use letters! Thanks for joining the party at One Creative Weekend! I hope you have a great weekend.